There are number of Google apps that you use on your Android device each day. There are many built-in Google apps that you come across each day. Like Google Maps, Drive, Chrome and Gmail. Well if you never heard about Google Keep. I bet most of you didn’t even know it exists. It is a basic note taking app that keep all your notes synced with your Gmail account and they can be accessed on multiple platforms. With market dominating apps like EverNote. Few people make use of Google Keep. 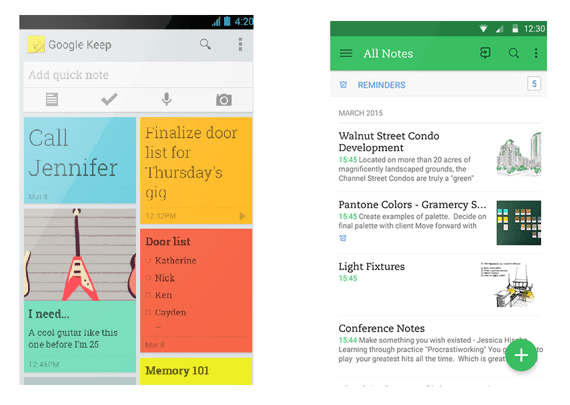 It is relatively easier to find a note in evernote as compared to Google Keep. Play Books is a great app that can be used to read books on your phone. Its interface is simple and minimalistic that allows you to expand the book on whole screen with no visual distraction. For Play Books not being famous I came up with only one good reason. That is Kindle is a better app present that already has almost every app that you want to read. 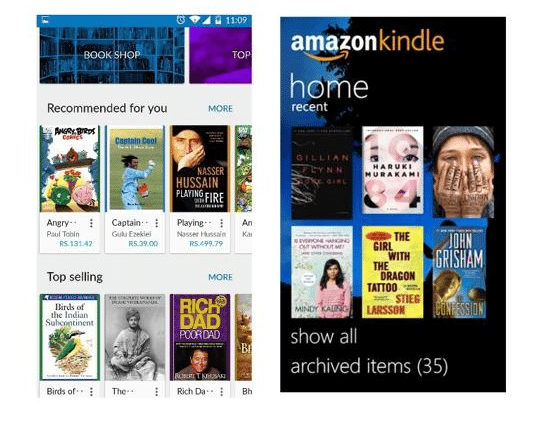 Amazon Kindle also has monthly subscription, once you pay for it then you can read any book from the store. Google Play Movies is an app to watch movies and videos online. 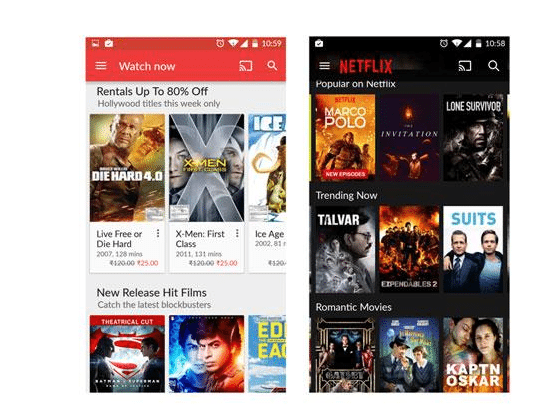 You can rent or purchase a movie or TV show and watch it on your phone. If you choose to pay for each movie then it can be very expensive. So who is going to go for it when there is Netflix which is way less expensive and offers monthly subscription . You can watch movies and shows on Netflix on Ultra HD resolution. And it is for multi platform, and you can also use one account for whole family and watch it on laptop, TV or smartphones. 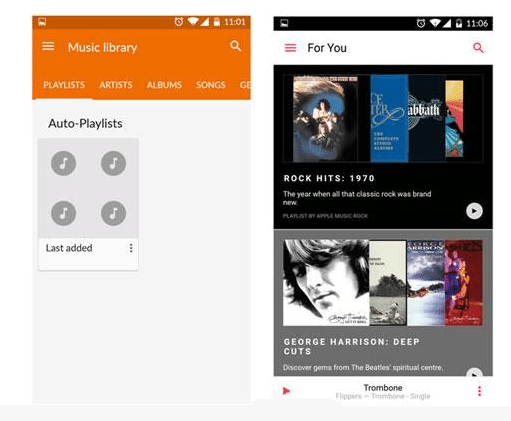 Play Music offers serves as music streaming service. But in most countries, it only works as music player so that you can play the songs already present in your phone. And it’s a very basic music player with no features to enhance music quality. Apple Music charges monthly subscription but it has a huge stockpile of international music which can be streamed and downloaded on your phone for offline playing. 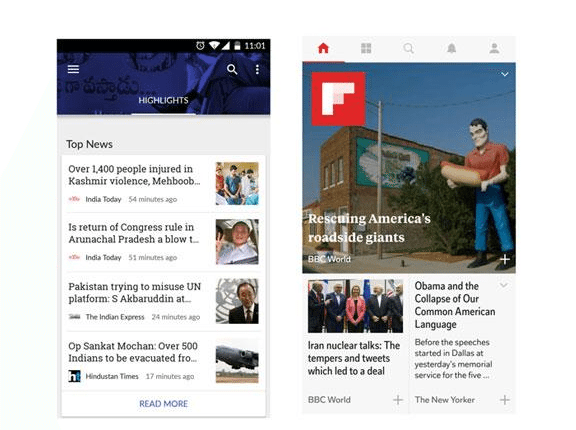 Play NewsStand works as a internet articles aggregator. It brings you the best of articles from major social networks. But there are better competitors out there which outclass Play NewsStand in look and design. According to my personal opinion flipboard is a lot better and it also shows posts by your friends in the news feed. That’s all from my side on Five Google Apps you never noticed before. If you think there should be any other Google app in the list above. Feel free to drop comment below. Do give us your feedback on what you think Google needs to come up with to get noticed in the above mentioned fields.